Welcome to BrickNerd, a place for LEGO art, artists and all things LEGO. We're glad you stopped by. We believe LEGO bricks are an art medium as well as a beloved toy, and celebrate the art and artist that create it. The work featured on this site represents the best of the best, from innovative building techniques and clever design to inspired creations and fantastic photography. There is no secret formula for what gets featured here, it's simply what inspires or impresses us. If we dig it, we blog it, it's as simple as that. In addition to art and artists we feature product reviews, news, and events. My name is Tommy Williamson, I’m a LEGO artist and nerd. As a child I loved playing with LEGO bricks, as a teen I used them as a filmmaking tool and hobby, as an adult I use them as an art medium. BrickNerd is a place to share the excellent creative work of fellow LEGO artists and builders, to feature artists so you can meet the person behind the bricks, to review sets and products and share news from the hobby and community. BrickNerd is your site, let me know what you want to see and what you want to build. Contact me any time tommy@bricknerd.com. About me: I’m a semi-retired visual effects artist for the motion picture industry. You’ve seen my work in films such as Pirates of the Caribbean On Stranger Tides, Pan’s Labyrinth and most recently Fast & Furious 7. I’m the founder of PCHLUG, the Pacific Coast Highway LEGO User Group. as well as a LEGO Ambassador. I also do stop-motion animation, check out BrickNerd Studios for more info on that. I live on the central coast of California with my wife, two sons, two dogs, two cats and way too many LEGO bricks. I'm also presently available for commissioned pieces. A lifelong brick enthusiast who has built with and collected LEGO since he was three years old. He’s the founder of the New York City LEGO Users Group and yes, he’s got a LEGO room. His favorite themes are Classic Space, Star Wars, the SuperHeroes and Lord Of The Rings sets, and loves buying the brick in bulk — some of his most memorable LEGO finds come from garage sales and thrift stores. Sid’s fandom once got him quoted in the New York Daily News which means he’s already exhausted his 15 minutes of fame. Find him at Facebook, Twitter, and Instagram. I'm a dentist in Vermont. Married 16 years. She kinda knew I was into LEGO before (although maybe not like this...) One boy, 12, also an enthusiast, and why wouldn't he be, right?! Rumor has it that Philip was born with a 2x4 LEGO brick in his hand and that at the age of 16 he was in tragic accident requiring most of his right arm to be replaced with one forged from ABS plastic pellets. They also say that he is single-handedly responsible for the creation of the cheese wedge brick. Philip also likes to talk about himself in the third person. While all of the above may not actually be true (or is it?) I am a huge fan of the magical little brick that this site is dedicated to. I am fascinated with the infinite possibilities that the LEGO system provides and am daily impressed by the inventive ways the community finds to use each unique brick. My lifelong love of the LEGO system began when, as a young boy, I received a copy of the Knight’s Castle set from a favorite uncle for Christmas. I grew up in the first golden age of LEGO and as a result have a fond love of the classic themes such as Castle, Pirate, Space, and City. I am also enjoying the renaissance of sorts that LEGO has been going through in recent years including their reliance on more “pop-culture” themes. I enjoy finding LEGO creations to share here at BrickNerd. If you have any suggestions or comments feel free to contact me at bricksmithphilip@gmail.com or hit me up on my flickr account. My name is Nathaniel Stoner, and I am a very active LEGO builder. I mostly build in the themes of castle and science-fiction, but I also dabble in other genres and create occasional random MOC's (My Own Creations). When I was younger, I would get and build small LEGO sets for my birthday, but I was never really into them. When they fell apart, I would become frustrated attempting to put them back together and would throw them in a box in my closet. I couldn't stand them! Then, miraculously, I became addicted to the LEGO brick later in my teen years. Ever since, I have continued to build up (pun intended) my collection of bricks and to expand my knowledge of techniques and building skills. LEGO is truly more than a toy, its an art form and a way to express yourself. For the most part, I collect LEGO Star Wars (mainly the minifigs), which is probably my favorite LEGO theme. I have a fairly decent collection, including some of the original 1999 sets, such as the Snowspeeder, X-Wing, and Naboo starfighter. I also collected LEGO the Lord of the Rings when those sets first came out. 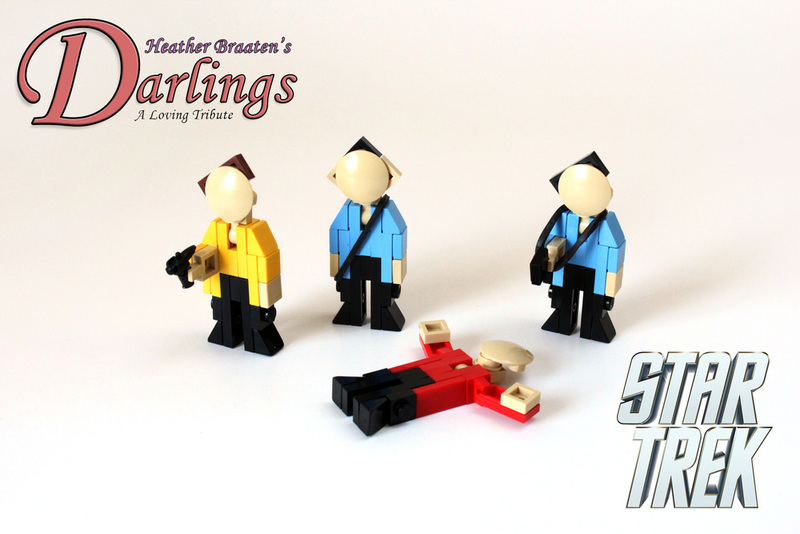 The minifigs are great, and the story remains one of my favorites ever. My name is Kodiak Sanders, I've been building for as long as I can remember, and part of the community for nearly as long. I'm a TFOL, and Flickr (flickr.com/ultron32) has been my primary base of operations in the LEGO community since I can on the scene in 2012. Super Heroes is my favorite theme and although high school gets in the way of building for nine months of the year, I I've been making a point to attend Brickfair Virginia every summer for the past few years. You can contact me at kodiak@bricknerd.com. I'm happy to be part of the NerdHerd. Vinny is a part time grown up who loves minifigs. He lives on the tiny island of Guernsey and lives with his beautiful wife Mrs Boo Paver who not only tolerates his obsession with all things lego but actively encourages it. A 15 year dark age ended with the advent of the CMF minifig series 1. Vinny has been kitbashing minifigs ever since and one day hopes to move onto building proper MOCs. No theme is safe from his gaze - yellow figs prepare to be updated! I loved Lego as a kid and remember getting Spacemen for my 5th birthday. I never really stopped loving the Bricks and after an accident at work I re-discovered my childhood Lego. I just wanted something to do as I was stuck at home for a few weeks. Little did I realise that exposure to the plastic would end up quite the way it has! I came out of my "Dark Age" in around 2007 and found out about AFOLs and the Adult Lego community. I did my first shows in 2009 and haven't looked back. I am the Lego Ambassador for Northern Brickworks LUG in the UK and contributor to BRICKS magazine. I still love space and spaceships but I also build 9v narrow gauge trains in Belville scale. That's not for the faint hearted! I grew up building LEGO and Technic LEGO with my Dad...I'm pretty sure he bought it for me just so he could 'help' build....and now I build with my son....and know for sure I buy him most of it just so I can 'help'. I've started dabbling in stop-motion animation using the wonderous bricks-the hardest part is balancing my OCD and lack of patience! I'm known as the weird geeky one amongst colleagues and friends, and have a slight obsession with skulls. I've been hooked on LEGO almost since birth, but I've only really been a builder for the last five years. 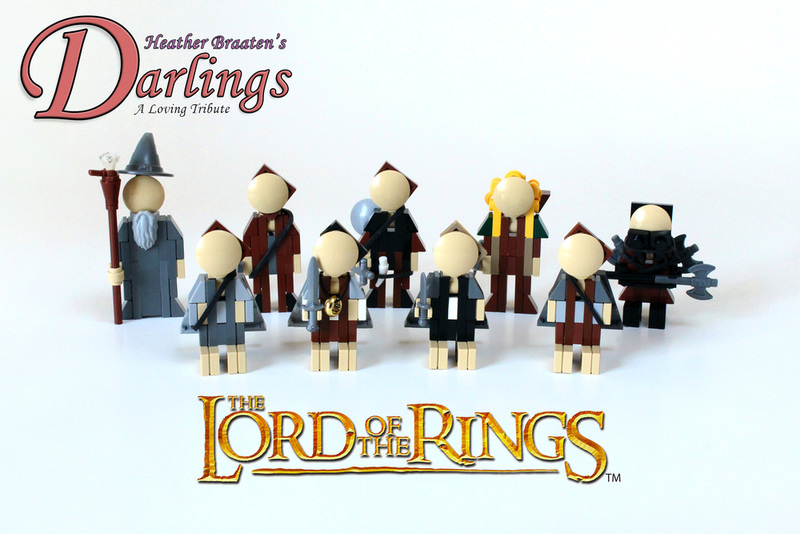 When I started building, my theme of choice was Lord of the Rings, and it's still one of my absolute favorite things to build, although I have occasionally branched out into the science fiction genre. I'm a Tolkien übernerd, so one of my favorite pastimes (other than LEGO) is reading and watching The Lord of the Rings. I also am into cinema, with some of my favorites being Inception and several movies by Hitchcock. Hi I’m Nick also known as Minifignick I love anything and everything about Lego As I child I collected the Space theme, which at the age of 11 I stupidly sold the lot to fund “more grown up things” whatever they were I can’t remember. That then was the start of my “dark age” which lasted up until a visit to Legoland with my then 5 year old son. 7 years later I’m still loving the brick and create anything from medieval banqueting halls to 1950’s Record Stores.